This is the question I ask my colleagues every year at our kick-off meeting for Forget Me Not Days (FMND), the national Bankers Life fundraising campaign to support the Alzheimer’s Association. Every year, more people raise their hands. For the past 14 years, Bankers Life has supported the Alzheimer’s Association through fundraising and advocating for early detection, which can help individuals and families affected by the disease prepare financially; this year the event was held on June 3 and 4, 2016. During FMND, Bankers Life employees go out into their communities to collect donations for local chapters of the Alzheimer’s Association, handing out packets of Forget-Me-Not flower seeds and asking that they be planted in honor of the more than 5 million people currently living with Alzheimer’s. 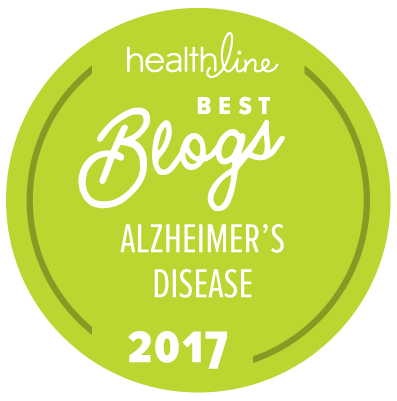 When I began supporting FMND in 2004, people were only vaguely familiar with Alzheimer’s disease, its symptoms, or its impact. Today, awareness of the disease is greater than what it was ten years ago. I’m moved when I see the immense passion our employees put behind this effort and how the community is always looking for more ways to support research and education. Unfortunately, each year of this campaign, we encounter more people from all walks of life who have a personal connection to the disease and the devastation it causes. My grandfather was treated for a form of dementia when I was in my early 20s. We didn’t know about Alzheimer’s at the time, but I suspect he had it. I can recall the mental, emotional and financial toll this disease had on my family, especially my devoted and caring parents. I vividly remember my parents lovingly and selflessly taking care of my grandfather, but being caught off guard by the cost. That is why Forget Me Not Days is more than just a few days of fundraising. It’s a reminder of how important it is to make sure communities across the U.S. are educated about Alzheimer’s disease, aware of early detection methods and informed about the benefits of planning ahead for long-term care. It’s not a comfortable conversation to have, but it is one that can make such an enormous difference later on when dealing with the high costs of in-home care, medication and home safety modifications. I’m proud of my more than 13 years of support for the Alzheimer’s Association and am committed to expanding our efforts, growing awareness and removing the stigma surrounding Alzheimer’s. My hope is for a future without the disease. Until then, I will continue to do my part to help lessen the burden for my community. About the Author: Keith Lozowski serves as the Regional Director for the Florida Region of Bankers Life. His region consists of the offices in Jacksonville, Daytona, Tampa, Clearwater, Orlando, Gainesville, West Palm Beach and Miami, as well as satellite offices in Fleming Island, Orange City, Lakeland, St. Petersburg, Spring Hill, Tallahassee, Wesley Chapel, North Miami and Brunswick, Georgia. In addition, he serves as Branch Manager at the Jacksonville branch. Lozowski has been with Bankers Life for over 18 years. My mom had a garden with Forget Me Nots she used to plant in memory of the pets she had during her life. when he found out she had Alzheimer's. I still maintain that garden for her and in her memory. My husband Tim also has early onset Alzheimer’s.He was diagnosed at age 48.He is now 56.I pay privately for privately for a caregiver ,that I can’t afford. But I have to work to pay the bills. Like you said there is no help for us,since we fall into a category of its own kind. I was also told to divorce him,but I believe in the sacred of the vows that we made. Plus his mom has it now also! More needs to be done for early onset!